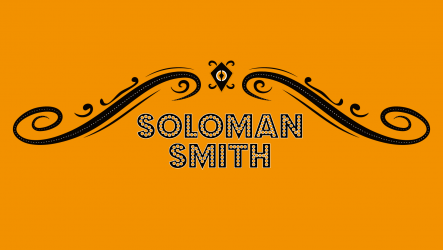 Cambridgeshire singer song writer Soloman Smith writes and performs folk songs flavoured with soul, jazz, funk, country and more! He has released a number of recordings (more recently through Confidential Records UK Ltd) and appeared on BBC/local radio. His latest CD ‘Lasagne Moments’ is available on all major platforms. He has been involved with music for some 30 plus years in one guise or another. Intially with folk duo ‘Just Friends’ with whom he performed at numerous Folk Clubs and Ely, St Neots, Cambs folk festivals (club tent) and Strawberry fair. He followed this with acoustic/folk roots duo ‘Smith & Hagger’ again working the acoustic circuit locally and nationally, making frequent visits to the Black Country and North Yorkshire, playing in Harrogate and for a number of years at Otley Folk Festival where they were kindly described as “East Anglia’s answer to Show of Hands”. Playing songs from their East Anglia/Fens inspired album ‘Book of the Fens’ (now unavailable). He has been lucky enough to share stages/bills with some great Acoustic musicians (Bert Jansch, The Albion Band, Show of Hands, Kate Rusby, The Phil Beer Band, Jez Lowe, Jim Moray and Ninebarrow). Over the years he has also played on BBC Radio Cambridge, 3 counties, Essex, Northampton and Suffolk along with a number of local radio stations. In the mid 2000’s he took a break from music due to personal illness returning in the 2010’s to playing the ‘bar’ circuit’ whilst writing new material. He has dabbled’ in acoustic country rock with ‘Four to the bar’ and in pop rock with ‘Small Fish’ (recording 2 CDs – now unavailable). His time is now spent predominantly in music and drama therapy, performing solo in and around this. You can contact Soloman Smith via his social media sites or by email, address below. Thank you.